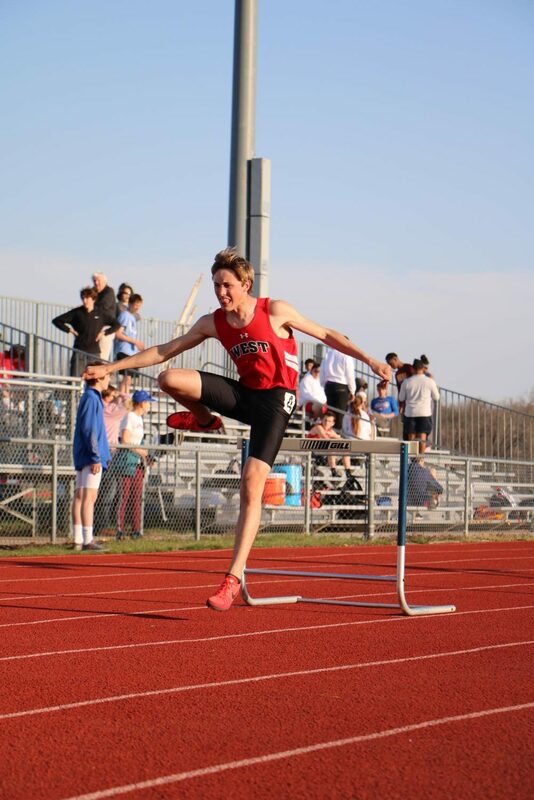 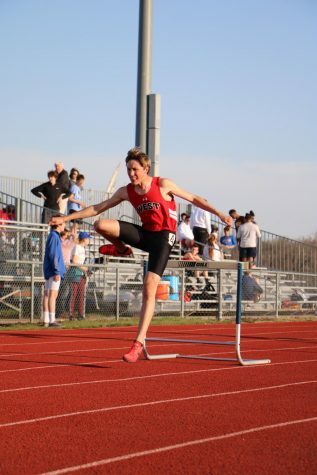 Junior Dylan Hawley takes his first hurdle of many in the 300 meter hurdle event. 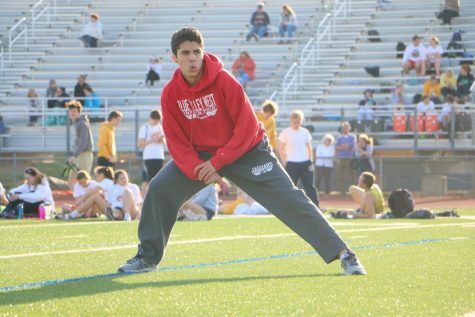 Sophomore Alfonso Esqued stretches in preparation for his race. 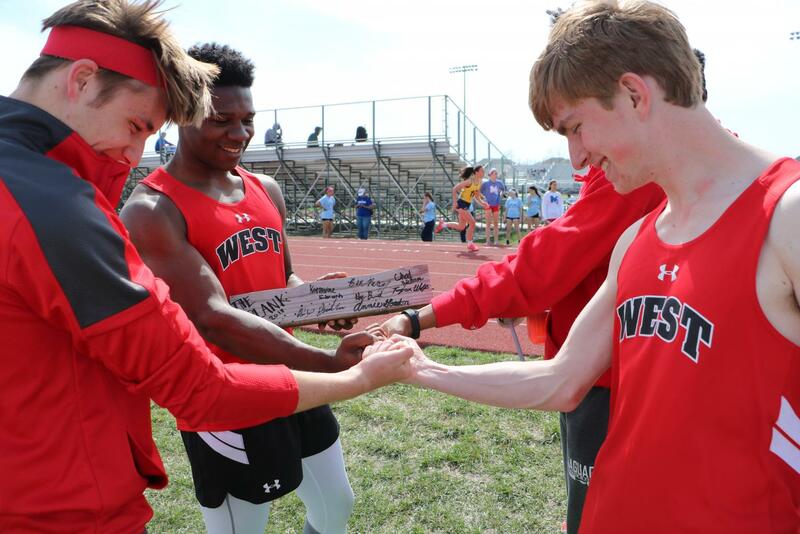 Seniors Henry Broussard, Ben Perez, and Alex Jashinski come together before jumping and use “The Plank’ for inspiration. 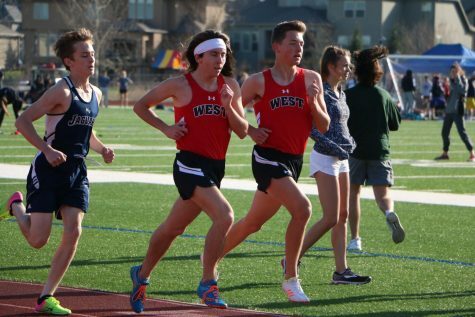 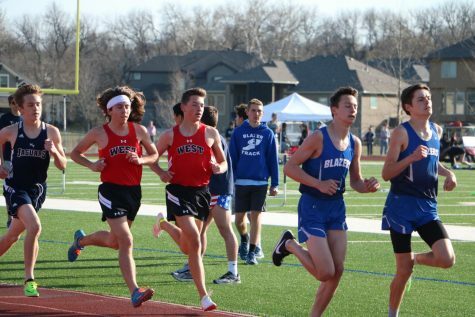 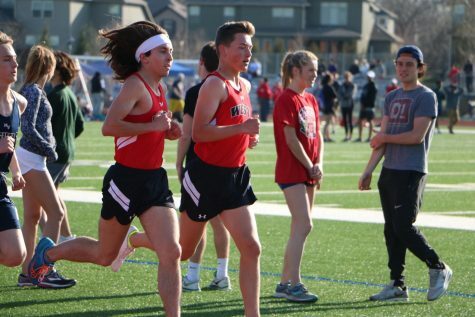 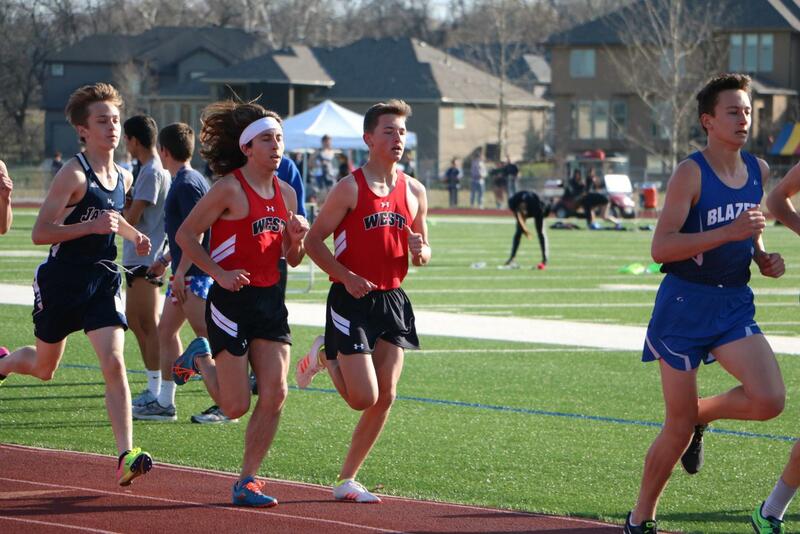 Junior Rudy Sullivan and sophomore Ty Gifford work together in their race to move faster and farther than their opponents. 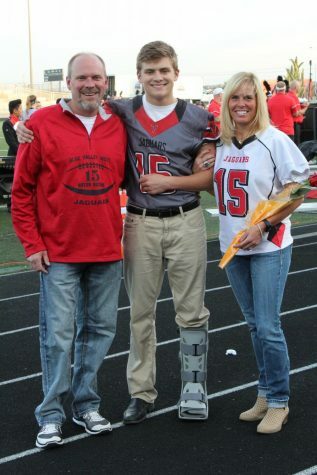 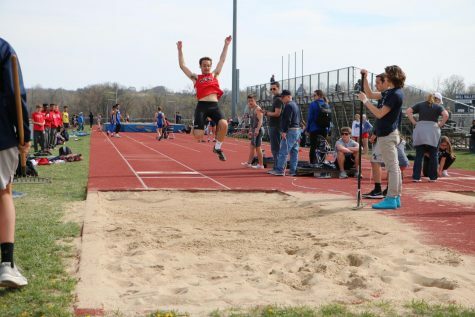 Senior Alex Jashinski rises above the pack to extend the farthest he can in the triple jump. 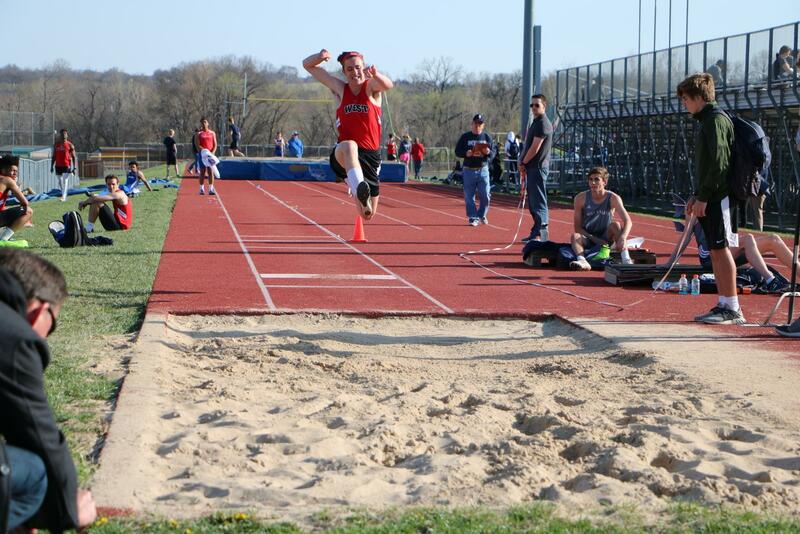 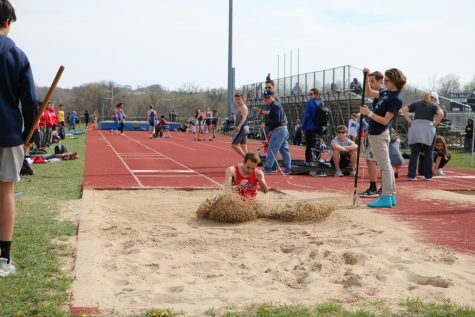 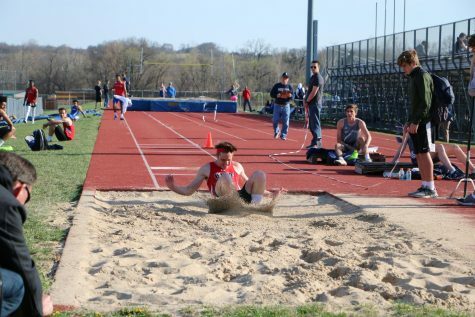 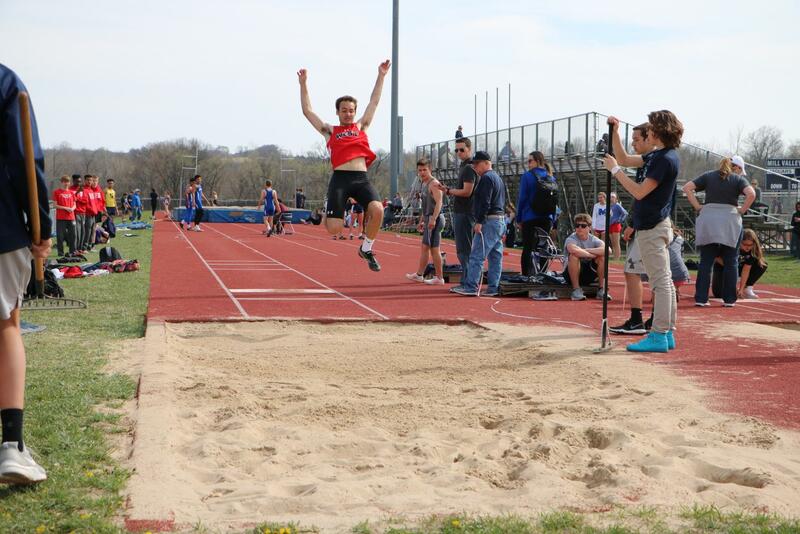 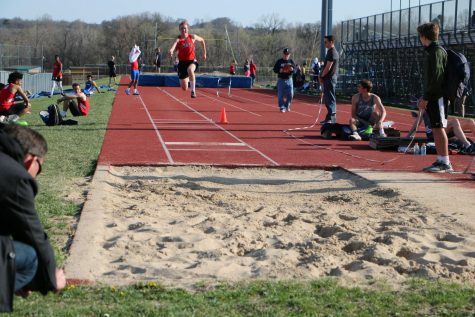 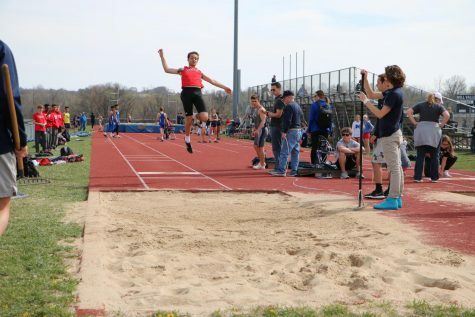 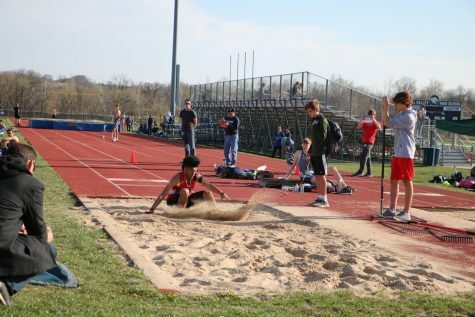 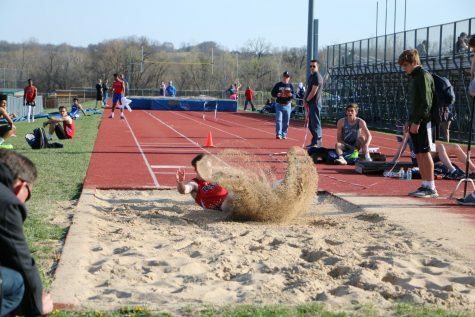 Junior Chad Hickman reaches and splashes into the sand in his triple jump. 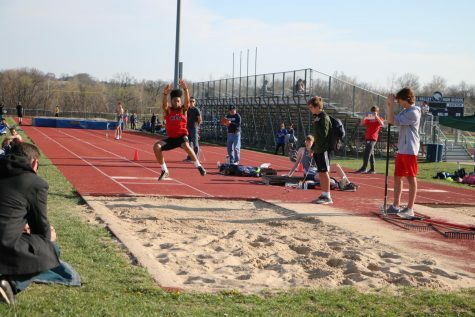 Junior Tylon Wolf sprawls out to reach for another foot in triple jump. 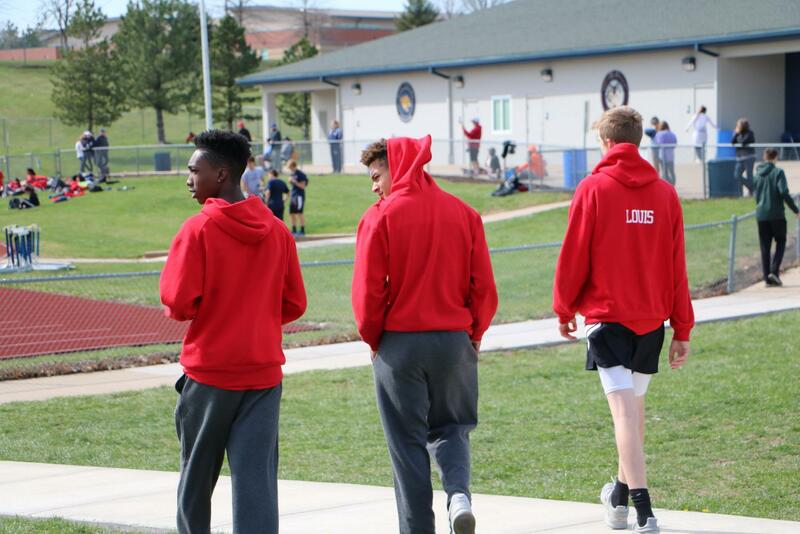 Junior Aaron Banks, freshmen Andrew Bradley and Loch Louis walk together to go find yet another teammate to cheer on.